Dhankot Traders deals in offering extensive array of Plain Washer, which is manufactured using finest raw materials and at the most competitive prices. 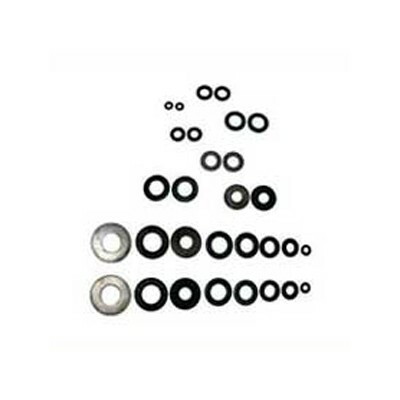 These are Industrial Washers that are offered by us in various sizes and dimensions. Our premium products are extremely demanded in the markets of India and other abroad countries, due to its corrosion resistance, customize & standard sizes, varied shapes, high tensile strength and much more. Hence, we are noted as one of the prominent Dealers and Distributors of Plain Washers from India. Manufactured using Mild Steel, Stainless Steel, Spring Steel & Brass. These are available in natural and galvanized finishing that is extremely appreciated by our patron of all over India, Sri Lanka, Bangladesh, etc. For client’s satisfaction, we offer them in various diameter that range from 3 mm to 100 mm and confirming to IS:2016, ISO: 7089, DIN 125 & DIN 9021 standards. As a result, we are regarded as one of the trustworthy Manufacturers, Exporters and Wholesale Plain Washer Suppliers from India.